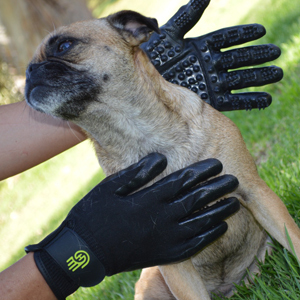 HandsOn Gloves a True Revolution in Bathing, Grooming and Shedding. 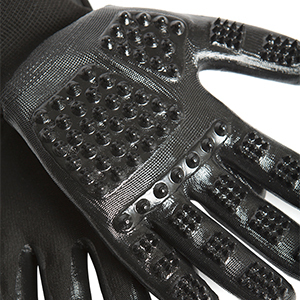 Wet or Dry - an Actual Fitted Pair of Gloves with Scrubbing Nodules on Fingers and Palms. Outstanding Shedder! And the hair does not stick to the gloves. Better Massages and Stimulates Circulation and Distributes Natural Oils for a Healthy Skin and Coat. Gently Clean Legs, Faces, Tight Body Contours and Your Hands and Fingernails Stay Clean. Patented, Multi-Award Winning HandsOn Gloves are the revolutionary, all-in-one Bathing, Shedding and Daily Grooming Gloves sweeping the world with rave reviews. Wet or Dry, HandsOn reaches far beyond the traditional curry combs, mitts, shedding blades, metal bristles, and de-shedders on the market today. HandsOn has changed the way we bathe, groom and shed all our animals. Forever. 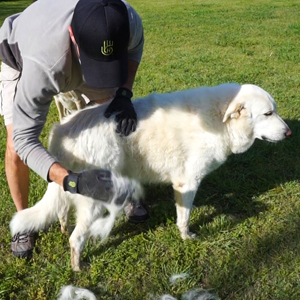 HandsOn is making grooming as natural as petting while creating a better bond with your animals. 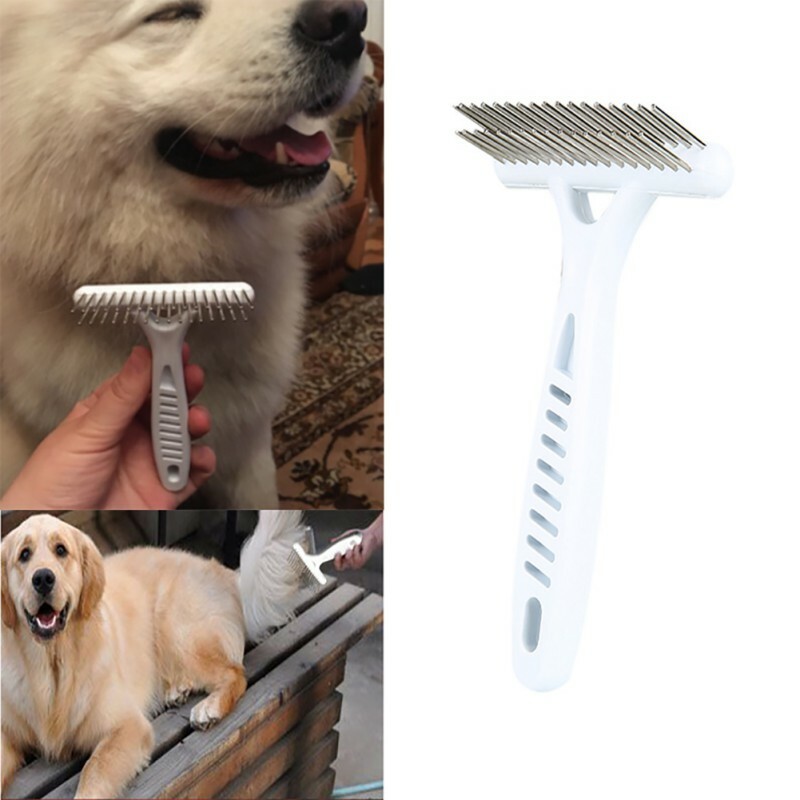 With a flexible, fitted glove on each hand, you get a more thorough, efficient and humane bathing/grooming/shedding experience while naturally bonding with your animal. You will throw all of your old, antiquated tools away! For the first time ever, scrubbing nodules on the palms AND fingers provide a far better deep, thorough clean from head to toe. Also, hair does not stick to the HandsOn Gloves like other grooming aids; just a simple flick of the wrist and the hair instantly releases so you can go right back to caring for your animal. The textured surface and flexibility of our gloves allow you to better massage and improve circulation while distributing natural oils and promoting a healthier skin and coat. Legs, faces, ears and tight body contours are no problem for HandsOn Gloves! 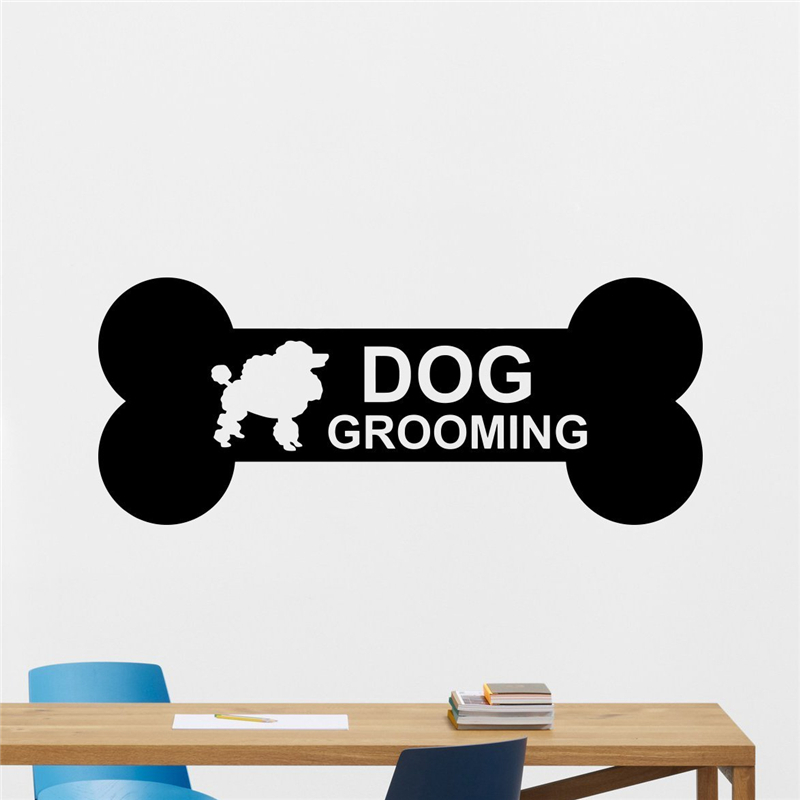 Our design is superior for delicate grooming as well; such as, ligament and tendon grooves on canons and hocks, that until now have been the hardest to clean. With the close tactile touch of your hands, examining your animals for cuts, scrapes, welts or bruises is a much easier and more thorough process than using a clunky curry comb, brush or any object between you and your animal; all while providing an unprecedented connection between you and your pets. Plus, your hands and fingernails stay clean! Professionals prefer HandsOn Gloves for both the Pet and Equine industries. The gloves don't rip and cut the good hair out like other devices. HandsOn only massages out the ready to shed hair while massaging the dirt and dander out from the skin, something the other hard metal devices can't do. They also massage the natural oils from skin all the way through the hair coat which makes for a beautiful natural shine. A healthier skin and coat makes for a happier pet. Pet Parent and Professional Approved! 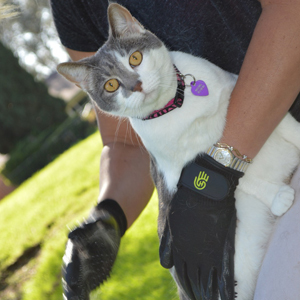 Pet Parents are finally experiencing why the professional grooms have chosen and are raving about HandsOn Gloves. Pet Parents and their pets are falling in love with HandsOn all over the world. Animal approved and preferred as well. 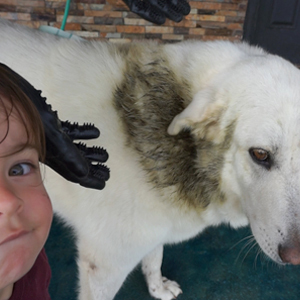 People send videos and write to us daily about how their pet or pets hate to be groomed yet love HandsOn Gloves. 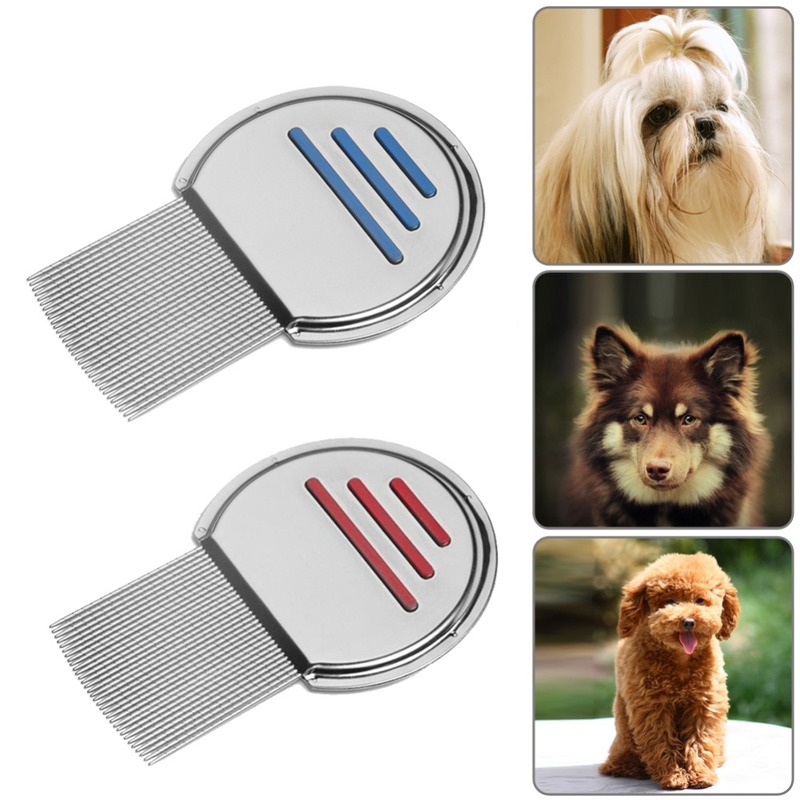 The founder of HandsOn Gloves has several rescues that hate to be groomed. Bella the white dog featured above is one of those dogs. Bella loves HandsOn Gloves though. She doesn't know she is being groomed, she is simply getting a loving massage. Bella begs for her massage anytime we get the gloves out. Bath time is a cinch with HandsOn Gloves. Especially if your pet is like our Bella who's favorite perfume is fresh cow flop. Having your gloves on keeps this off of your hands and cleans the mess up super fast. While bathing, leave your gloves on. You can handle shampoo bottle, leashes, hoses, whatever you need with your gloves on. You don't have to pick up a tool and put it back down numerous times during bath time. A little soap goes a long way. With your fingers finally in the action, the gloves help produce suds that aid in a more thorough clean all over your pet. Legs, tight body contours, and places you can't easily reach with other devices are no match for HandsOn Gloves. Big or Small Animals Approve! HandsOn Gloves are currently being used and loved by Elephants, Horses, Zebras, Show Cattle all the way to Small Dogs, Cats, Rabbits and more. Yes, cats love the full body massage! And the more you give your cat a loving massage with the gloves the more hair you will keep out of the mouths and throat reducing those nasty and sometime deadly hairballs. I have 4 cats and these are essential. It can shred apples too!